Coming off a solid 23–7 win over Hiram, the Maroons (4–3) look to keep their momentum going in their UAA opener against Case Western (4–3) this Saturday. Since 2010, these teams have split their head-to-head meetings, with Chicago pulling out a 24–20 victory two years ago, followed by a 6–0 Case win last year in a defensive showdown. In the offensive struggle last year, Case running-back Manny Sicre ran for 103 yards on 17 carries. “Stopping the rush is always a focus for us. Good ol’ Manny is a good receiver, too. He’s a key to their attack,” Maloney said. Chicago’s defense will still have to be on its toes, ready for a balanced charge. “They have also shown the ability to throw the ball effectively, so we have to be wary of that, too,” third-year defensive tackle Mike Cifor said. On the offensive side of the ball, third-year quarterback Vincent Cortina is hoping to avoid the goose egg in this year’s contest. Chicago has been plagued by slow starts this season, and they’re hoping to turn that around this weekend. “I think we need to be more focused and have a sense of urgency to score this week,” Cortina said. Maloney is on the same page with his quarterback. Against Wittenberg two weeks ago, Maloney tried to inspire the offense by pulling a fake punt out of his bag of tricks. Instead of waiting for a lull in the offense this week, he hopes to catch Case’s defense off guard. Being homecoming weekend, the atmosphere could also play a role in the game. 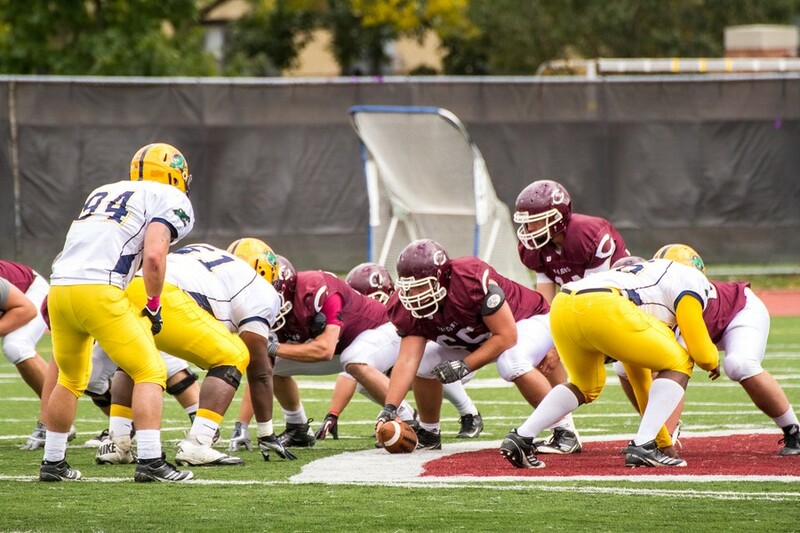 Not only will the campus have its hands full with food and festivities, but the Maroons will also be busy with a solid Case team that comes to town for a 1 p.m. kickoff at Stagg Field.